Subscribe to our mailing list to receive awesome freebies and updates right in your email inbox. Although I’ve made a budget plan before (Your Wealthy Mind Savings and Budget Plan), I thought that it might be a bit too difficult for those who just started taking care of their finances. 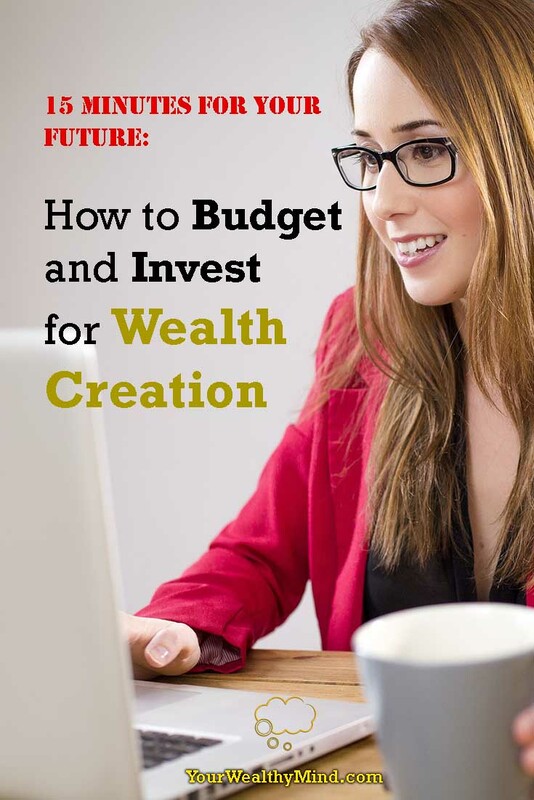 This guide is intended for beginners and it will teach you how to budget and invest for wealth creation. Some people are natural-born magicians. They receive their paycheck and, like magic, it seems to disappear faster than a puff of smoke! Unfortunately, they don’t know why it happens and, like a wizard without a wand, they can’t control it. 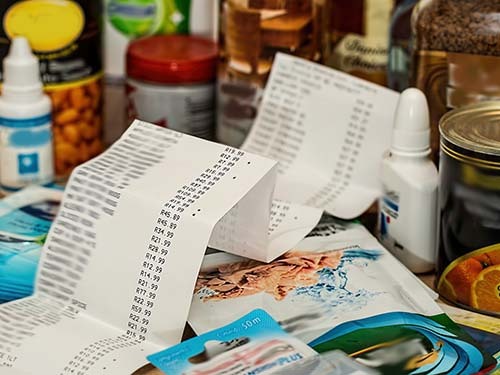 If you feel like there’s “too much month at the end of your money” and you’re always eagerly awaiting your paycheck to survive the next month, then you will need to learn to record your expenses to find out what’s been eating all your cash. By the way, it’s much easier to focus on your life’s goals and dreams when you’re not too busy and stressed over all your bills and overwhelming debt. Control your finances or else your expenses will control you. Record the money you earned after taxes. Whether it’s your net salary every month, income from your business, allowance from your parents (for students), or anything else, you must write it down so you’d know your limit. Do NOT include money you borrowed from friends or from the bank (loans or credit – you’ll see why later). Take note of this as you’ll compare it with your expenses. I personally carry around a folded index card and a pen to record every single expense I’ve incurred, and yes, that includes really cheap stuff like pieces of candy or chocolate. Some expenses like those seem too small and you never really notice them… but when you bought them for the 396th time this month (or 4,752nd time this year), it adds up. Record ALL your expenses to the nearest dollar (or peso, depending on your currency). Whether it’s for your utilities such as electricity, water, and internet bills, rent, food, groceries, soap, shampoo, toothpaste, clothes, gambling, liquor, smoking, expensive coffee, luxury gadget plans, etc. EVERYTHING you spent money on should be recorded. That includes things bought on credit. It will seem like a hassle at first, but just do it for 21 days to develop the habit. Pretty soon it’ll feel like brushing your teeth or taking a bath – meaning, you won’t notice it at all as it’ll be a regular part of your life. Do this for a few months and you’ll realize the places where you spend too much money on. Have you realized that your daily coffee breaks cost you several hundred dollars or thousands of pesos a month? Choose a cheaper alternative, like buying coffee grounds and making your own artisan coffee yourself. Have you realized that your electricity bills and water bills cost too much for some reason? Find out how you can cut back on wasting electricity and water. When you know your problem areas, only THEN can you find solutions. It’ll be much easier to save money when you know exactly where your money is wasted. How does your Future look? Income = Expenses (Bad) – This means you’re just living paycheck to paycheck (Filipinos call this “isang kahig, isang tuka”). You’ll probably notice that even if your income does increase (from pay raises and promotions), expenses always grow to eat it up. The BIG problem with this is that someday you’ll retire, lose that income, AND have no savings to support your old lifestyle. Not only that, you’ll be a liability (“pabigat” or “dead weight”) to those who support you, like your children or relatives. Expenses GREATER than Income (Worst) – This happens when you borrow money too much and overuse your credit cards. This is the worst kind as it ensures that you’ll have no money in your future. Why? It’s because you spent your future money TODAY! Everything you earn next year will all be used to pay for the old and broken stuff you bought last week. The first thing you should do is to stop borrowing money and “live your wage.” The only time you can spend a little more is when you start to earn MUCH MORE (and we’ll find out how you can do that later). Income Greater than Expenses (Good) – This is the best case scenario as this means you’re doing well and you SHOULD have some savings and investments. If you think your income is greater than your expenses but you DON’T have savings or investments, then it means your money is going into an expense that you haven’t recorded. If you saved and invested well, however, you’ll be sure to live well in the future. Again, I’ve made a budget plan before, but it’s for those who already have a lot of self-discipline and income. This is for most people who are just getting started in personal finance. You ever wonder why you don’t usually miss the money that goes to your income tax? Since you never see it and you never see yourself lose it, you learn to live without it. You can do the same for your savings: Right as you receive your paycheck, take a percentage out of it for your savings. Do that and you’ll adjust your lifestyle automatically. IMPORTANT: If you’re just beginning, start with small amounts like 1 to 3% for each of the three categories. I don’t suggest starting with large percentages right away as, like going on a crash diet, it will tempt you to overspend some time in the future – especially if saving that much makes you feel “deprived.” The key is to get the habit until it becomes automatic. Robert Allen, author of Multiple Streams of Income said that those who stay poor see money as something to be spent after receiving it. On the other hand, those who see money as seeds to be planted and become “trees” that produce more money are those who grow wealthy. That’s similar to what Steve Siebold of How Rich People Think and Robert Kiyosaki of Rich Dad Poor Dad taught: While the poor and middle class work hard for their money, the rich make their money work hard for them. In short, the rich invest their money to make more money. Remember how you reap what you sow? If you never saved anything to plant, you’ll have nothing to harvest. Like planting seeds of fruit trees, you won’t have much when you start but as the weeks, months, and years pass by (and they WILL pass by, whether you notice it or not), you’ll have an entire forest of trees bearing fruit if you learned how to do it. The key here is whether or not you LEARNED to do it properly. Will you pay $1,300 for a $1,000 item? That’s what happens when you keep paying on credit. You get the exact same item, but you’ll pay extra *just* because of the interest charges and all the other hidden fees (and did you know that many stores offer discounts when you pay in cash?). Stop borrowing any more money, start living below your means and give yourself the goal of paying back ALL your bad debts (check this link to learn how). No matter how much the minimum payment is, pay more to get rid of it or else you’ll end up paying MUCH more thanks to the interest. This is the absolute, most important thing you need ESPECIALLY when you’re just starting to invest. The reason why many, MANY people fail and lose money in investing, business, and everything else is because they don’t know what they’re doing or they don’t realize that what they’re doing is wrong (see “The Price of Ignorance: Wasted Time, Effort, and Opportunity”). Good books are better organized than a fragmented collection of blog posts so the information is easier to use. Good books are more in-depth than short five-hundred-word blog posts. Unlike most internet content* which can be useless, you’ll find negative reviews against bad books so you’ll know which ones to avoid. You can always try searching only for free resources (Internet and public Libraries! ), however if you vow to NEVER spend money on books and education, you may FOREVER miss out on knowledge that could have changed your life forever all because you were too cheap to pay for it. Consider that as a warning. Spend some time, effort, and money on educating yourself in order to avoid common mistakes AND increase your chances of success. Follow this tip and you’ll likely learn about other budget plans that you can adapt and use. *Don’t believe everything you read on the internet and yes, that includes my post here. If the information that I personally use and wrote about here are useful for you, then feel free to use them too. If you know something else that works better for your situation, then use the method you learned instead. Use what works and review your results. One MAJOR fact of budgeting is that it’s MUCH easier to do it when you earn a lot of money than when you earn just enough to survive. 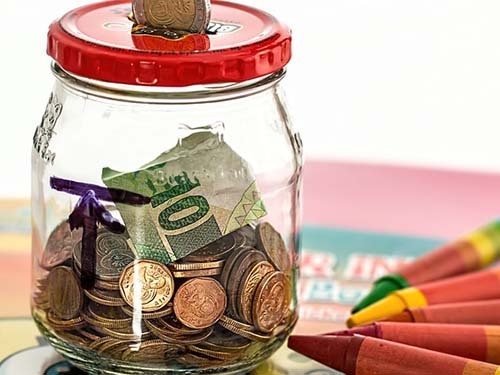 If it costs $20 or P1,000 to survive every month, then it’ll be difficult to save 30% of your income if you earn just around $21 or P1,050 every month. On the other hand, it’ll be easier to live well and save a lot if you only spend $400 or P20,000 for your expenses while earning $1,000 or P50,000 every month. You just need to be disciplined and frugal. That is, by the way, how the REAL rich people live. The Hollywood diamond and gold glitter is fake… AND overspending on those luxuries is the sure way to poverty. Don’t believe me? Just read The Millionaire Next Door by Stanley and Danko. Steve Siebold, the author of How Rich People Think, lists 21 ways on how rich people think differently and one of them is that, while average people focus on saving, rich people focus on earning. If you want to solve the riddle on how you can earn more, think carefully on why college graduates earn more than high-school or grade school graduates. A high school graduate knows how to read, write, and do math. A college graduate knows how to read, write, do math and, depending on their degree: save your life if you contract a terrible illness (Medicine), plan and build electric dams and bridges that benefit entire countries (Engineering), start and run businesses that employ hundreds of people to create products that the world needs (Business), etc. Which one of those two can do more valuable things and thus earn more money? HOW do you Earn More? Simple: LEARN MORE! This is why the Education Account is so valuable! Do you want to earn $100,000 dollars by buying and selling real estate or by developing rental properties? You could if you learned how to appraise houses, use loans well, and find buyers and sellers! Do you want to get promoted, triple your income at work, or start your own company? Again, you could if you learned how to do your work better, manage and lead more employees, and how to start and grow a great business. Everywhere in the world, there are professionals who earn millions by buying and selling real estate, investing in company stocks and other assets that double or triple in value, and teach the skills that upcoming division managers and CEOs like you need… and they write books about it. Read their writings and learn from their mistakes and successes. Although nothing beats skill gained from actual experience, a $10 or P500 book is much cheaper than spending decades on trial and error. Review your Income and Expenses: Make sure that you don’t spend more than what you earn! SAVE FIRST: For Investing, Freedom from Debts, Safety, and for your continuous Education. LEARN how to Earn More. In any case, if you enjoyed what you read, then Like us on Facebook! We’ll certainly bring you more each week! 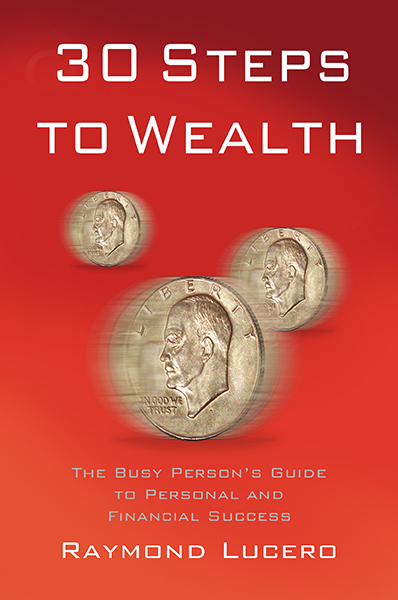 Ray is the main writer behind YourWealthyMind.com. He is a proponent of self-improvement and self-education, and he believes that anyone can achieve their goals once they learn the knowledge and skills they need to attain them. He considers it his mission to enrich lives and end poverty by teaching people lessons they may need to succeed. Let me Sign up for the Newsletter! Enter your email and click to get Freebies and Updates! Want to learn more? Read these! Click the button below and enter your details to receive the first chapter of "30 Steps to Wealth" (and other great stuff) for FREE!